We already have teams committed from the following clubs: Ambassadors FC, CAPS FC, Canton United, Century (PA), Chicago Inter (IL), Croatia Jrs, Erie Admirals (PA), GPS Buffalo (NY), Riverhounds (PA), SCS (PA), Soccer Vision Academy, TCSC, and many more! 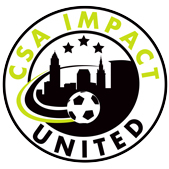 The CSAIU Soccer Club is comprised of the CSA Impact Soccer Club, former Cleveland United Soccer Club, and the former Internationals Boys Soccer Club. All (3) clubs have merged and play under the CSAIU Soccer Club banner with competitive teams at all age levels. Club Founders Ali Kazemaini, Joe Raduka, Marko Raduka, and George Nanchoff continue to play integral roles within the club and the Spring Invitational Tournament. The CSAIU Invitational Soccer Tournament is open to teams that are registered to and affiliated with their state or national organizations (U.S. Club & USYSA Teams welcome) which, in turn, are affiliated with FIFA. Applications are invited from teams that are duly registered with their State, Provincial, or National Associations. All teams and players accepted will have their rosters and players verified by their State, Provincial, or National Associations. Only approved players with player passes shall be allowed to play. The number of players on any one team shall be consistent with the maximum number allowed for that team's age group. Falsification of player registration forms, team rosters, player passes or other records used in the tournament shall be subject to disciplinary action, up to and including disbarment for the individual(s) involved and disqualification of the teams involved. All teams will determine the age of their players as of the most recently completed August 1st. Teams from outside of the United States must also conform to these guidelines. A minimum of 3 games are guaranteed. All games will be played in accordance with FIFA Laws, except as modified by Tournament Rules. Divisions: Girls and Boys U9 through U19. A USSF three-man referee system will be used for all U13-U19 matches and for U9-U11 teams in the finals matches only. “This is a stay and play event.” We have partnered with PYB Sports to assist with the hotel selection and reservation process. We thank you in advance for booking your reservations through PYB Sports and supporting our local hotel partners. Please click on the link above for a list of properties, amenities, rates and other information. All teams requiring hotel accommodations are required to book rooms through PYB Sports. Using this service ensures that room demands can be met and allows PYB to offer the added protection of "no hotel cancellation fees" in the event that the tournament is cancelled in its entirety, by tournament officials, due to severe weather. Each player on the Championship and Runner-up teams will receive a custom tournament medallion. A team trophy will be presented to the Championship and Runner-up teams. Simax Sports will provide all tournament apparel online and on site for the event. In compliance with the USYSA Youth Soccer Tournament & US Club Soccer Hosting Agreements, it is mandatory that medical authorizations for each player be presented at Registration and retained at the field by the team. No player may play without a valid medical release under penalty of forfeiture of the game played in. These medical release forms do not need to be notarized. The CSAIU Soccer Club utilizes online registrations for all of its tournaments. *All Entry Fees must be submitted by April 3rd, 2019 to guarantee consideration. All late applications will be put on a wait list for review. Upon acceptance, the fee is non-refundable. If your team is accepted and later withdraws, the entry fee is non-refundable and sanctions will be placed against your team/club for future participation in Cincinnati United Events. Participation is not final until acceptances are announced mid-April. Acceptances will be posted on this web page. Take Ohio 2 East/Lakeland Freeway to Lost Nation Road Exit . Turn Right and head east on Lost Nation Road for 2.4 miles just past the Lost Nation Airport. Make a right turn on Jet Center Drive and take to the dead end. Take Ohio 2 West/Lakeland Freeway to Lost Nation Road Turn Right and head east on Lost Nation Road for 2.4 miles just past the Lost Nation Airport. Make a right turn on Jet Center Drive and take to the dead end.